We are shark raving mad… are you? If you love these beautiful creatures as much as we do, and want to meet them for yourself, then come with us on an adventure and let’s see what we can find. Below there are some examples of our holidays where you can encounter the oceans apex predator, the shark. Not all of these trips have dedicated shark itineraries, but for those who enjoy a bit of toothy action and would like to look at a few different destinations we thought we’d help by giving you some suggestions. 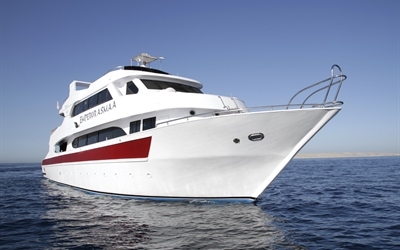 The Red Sea offers several options to bring you up close and personal with sharks, possibly the most popular being by liveaboard. Get to your destination in comfort and style aboard one of the boats pictured below. 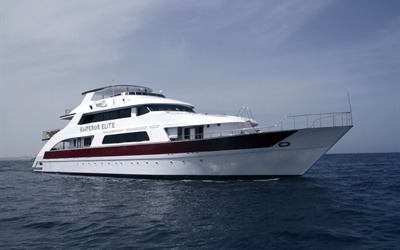 Their itineraries cover a variety of the dive sites, providing you with plenty of choice to find your dream trip. The first is The Brothers, they are pinnacles of two undersea mountains rising from the Red Sea. Located 60 miles off shore they offer stunning wall diving. They attract a diverse array of large pelagics including silvertips, hammerheads and oceanic whitetips. Sightings of the grey reef shark are almost guaranteed on the north and south Plateaux of Small Brother. Elphinstone reef is 300 metres long with sheer walls covered in colourful soft corals and gorgonians. It is known to experience some strong current attracting many diverse species including reef sharks and occasional sighting of dolphins, turtles, oceanic whitetips and hammerhead sharks. 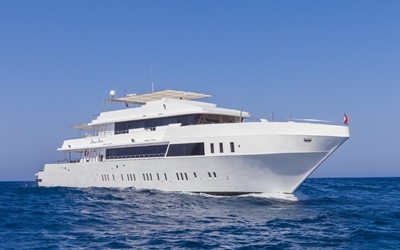 Daedalus Reef is a large oval reef with deep walls and drop-offs, it has mountainous, pristine, hard corals and there is a strong chance of spotting schooling hammerheads and grey reef sharks. 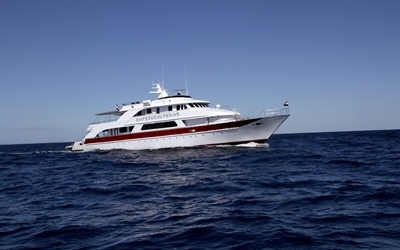 St Johns is a vast collection of small reefs lying a short distance north of the Sudanese border. Grey reef, silvertip and schools of hammerheads might be found on the west side of Habili Ali. Habili Gafaar is a mass of soft corals teaming with shoals of snappers, butterfly fish and barracudas. Mantas, grey reef and silvertip sharks are often seen here. 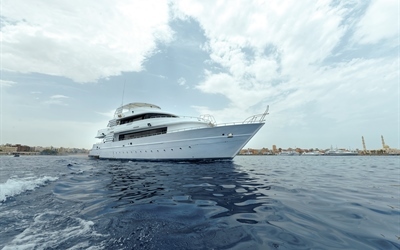 Emperor Divers offer itineraries covering these sites, with their Red Sea Sharks itinerary gives you the best chance of seeing sharks in action. Their guides select the best possible sites based on their immense local knowledge and insider data on recent activity. They will do there upmost to ensure you get some close encounters of the sharky kind. Please browse their selection of boats below. 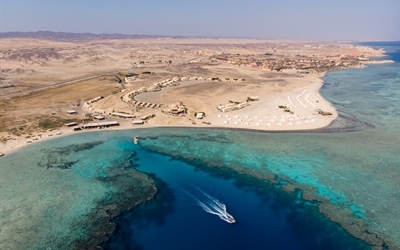 Marsa Shagra, a wonderful diving village just north of Marsa Alam, offers day excursions to Elphinstone. 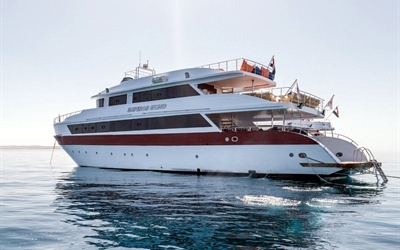 This can form part of an unlimited diving package where you can dive the stunning 2km house reef from dawn until dusk whilst enjoying trips to offshore dive sites such as Dolphin House and Elphinstone. 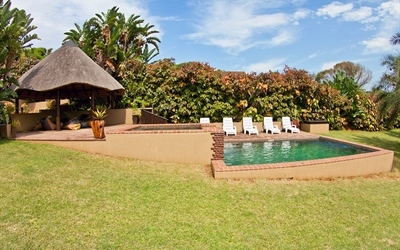 You can enjoy a range of accommodation from Deluxe Chalets to Beach Safari Tents. 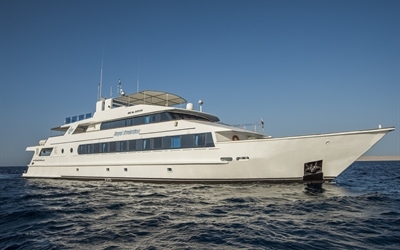 Another liveaboard option is the Royal Evolution, departure is from Port Ghalib and during your 13-day trip you will sail south diving The Fury Shoals and St Johns reef onto Port Sudan. Angarosh reef is a superb dive site where sharks swim effortlessly around you. Angarosh means ‘Mother of Sharks’ and is appropriately named due to the number of sharks in the area. Shaab Rumi is where Jacques Cousteau and his team mounted an underwater base to study the effects of extended periods underwater on divers. The remains of the expedition are still at this site and to the south there is a plateau where you can see numerous sharks, humphead parrot fish and barracudas to name but a few. The Sanganeb coral reef is a truly beautiful place, one of the richest coral displays in the Red Sea. At the south plateau grey reef sharks will cruise by along with the occasional whitetip, sometimes hammerheads, silky and oceanic whitetips will make an appearance. The north plateau is an outstanding dive where hammerheads are common at the lower plateau, along with grey reef, silvertips and whitetips. Inside the lagoon there is often a huge pod of dolphins. Moving south we come to Mozambique and South Africa, destinations that give you access to several of the top shark diving sites in the world. Here you will have the ultimate adventure diving with many of the world’s shark species including tiger sharks, bull sharks, hammerheads, blacktip sharks, ragged tooth sharks, dusky sharks, guitar sharks and more. Aliwal Shoal is located 5km from the small diving town of Umkomaas in South Africa, the shark diving here is breath-taking and an absolute must for shark lovers. The reef is home to a huge variety of marine life including whales, whale sharks, dolphins, turtles, manta rays, devil rays, eagle rays, ribbontail rays, moray eels, game fish and much much more. Ponto do Oura, Ponta Malongane and Ponta Mamoli in Mozambique offer some of the best shark and reef diving in the country. During the humpback whale migration you can often see the whales breaching from the dive boat. In total the local dive centre has reported seeing 16 species of shark including tiger sharks, bull sharks, hammerheads and leopard sharks. The reefs have an abundance of marine life so you can hope to see turtles, dolphins and manta rays and that’s just to start! ScubaAddicts Dive Centre and Lodge have resorts in both Mozambique and South Africa and arrange diving packages to the locations detailed above. 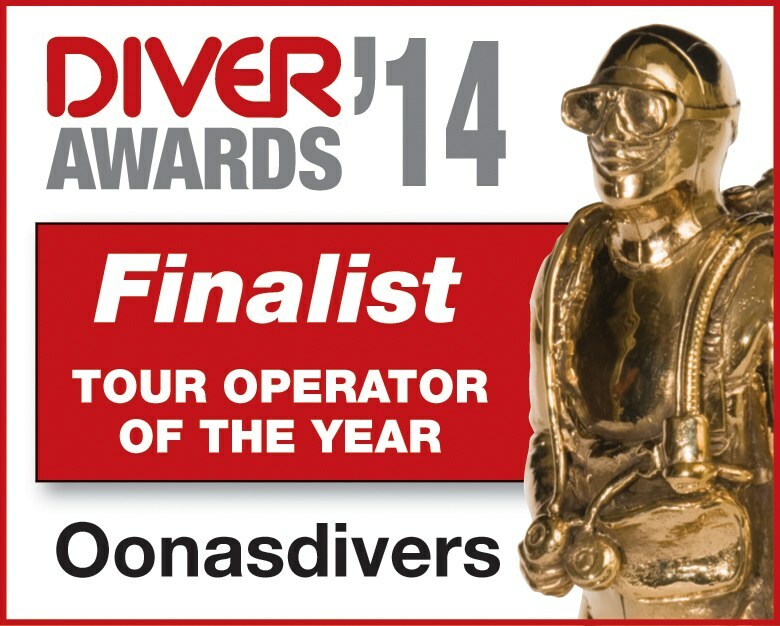 Their dive centres are on site so you can just wake up, roll out of bed and get diving. Each room has ocean views and offers access to a pool where you can relax and sunbathe. We offer packages where you can combine both destinations and if you want to extend your adventure even further we can arrange for you to join a BIG-5 safari in South Africa. 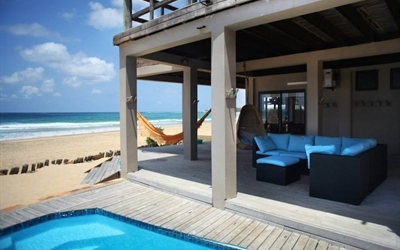 Other resorts available in Mozambique are Baia Sonambula Guesthouse and Corasiida Guesthouse. Baia Sonambula is based in Tofu, the accommodation is elegant and simple, and the welcome warm and friendly. The area is rich in a diverse array of marine life with many people visiting to experience diving with manta rays, including the giant manta ray as this location has one of the largest known manta ray populations in the world! As for sharky action, you can expect to see grey reef sharks, white and black tip reef sharks. Corasiida is also based in Tofu, the rooms are stylish and there is an entertainment area and private pool. Apart from the wonders detailed above, Tofu is also great for divers who love the little things, the reefs offer a great diversity of shrimps, nudibranchs and leaf fish.